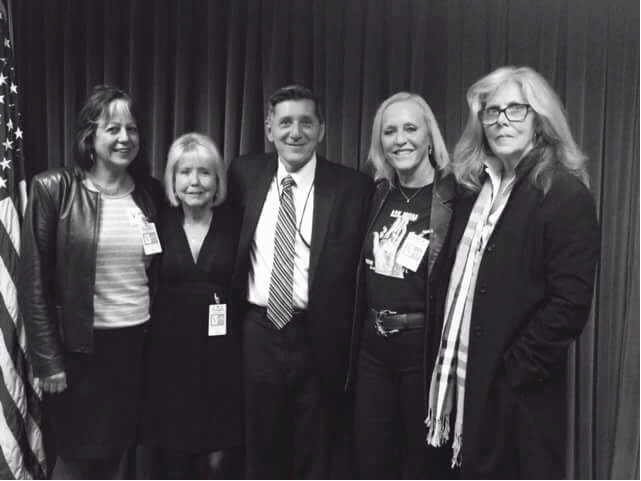 Joyce Rivera, St. Ann’s Corner, NY, Denise Cullen, Broken No More/GRASP, Director Michael Botticelli, ONDCP, Gretchen Bergman, A New Path, Moms United to End the War on Drugs and Julia Negron, Suncoast Harm Reduction, A New Path, Moms United and Broken No More. November 18th, 2015, Washington DC. With more than a trillion dollars spent over the past 40 years on the War on Drugs, a drug policy that has been counter-productive while ruining the lives of countless victims through incarceration instead of treatment, Botticelli freely admits it was a “failed policy” and “[had] been all wrong”. As 60 Minutes stated: That is the essence of Michael Botticelli’s approach – addicts should be patients, not prisoners. This is also the sentiment of many prominent figures that have been working re-directing drug policy, such as Denise and Gary Cullen of Broken-No-More. Click here to view the 60 Minutes segment: A New Direction on Drugs.